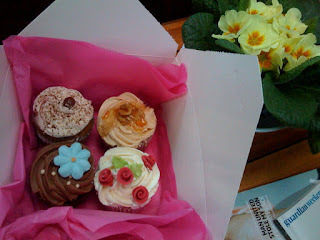 A craze is sweeping London (and no doubt elsewhere) for delicious and beautifully presented cup cakes like these. I bought these in East London's Brick Lane's Sunday Up Market which is a multi ethnic foodie heaven. I had Japanese cabbage amd seaweed pancakes for lunch. Meanwhile the cup cakes were yum.